Carrie is one of my dearest friends. I visited her in January to meet her baby daughter. We went for walks and ate good food and she took me to the TeaHaus tearoom in downtown Ann Arbor. We took the baby and the staff and patrons did not bat an eye. We sat at a table near one of the large windows. You can sense the day light that filled the room from the photo below. 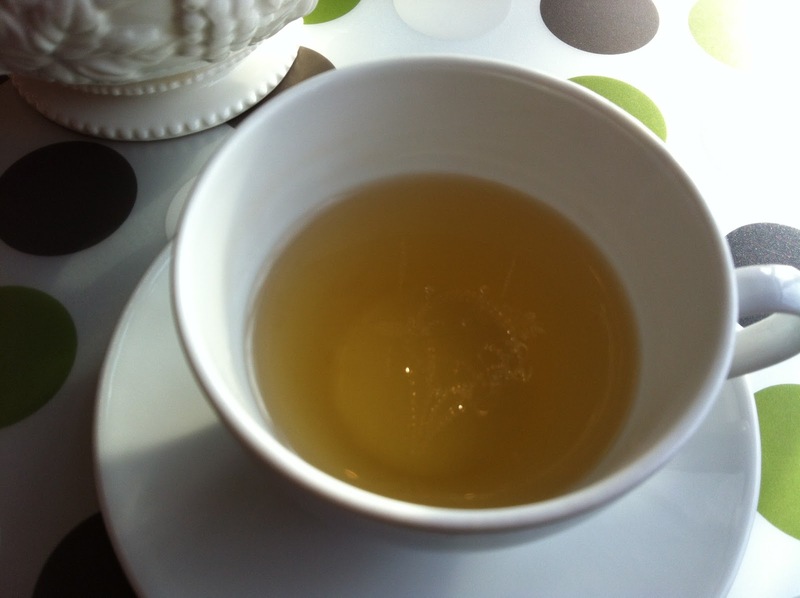 This White Tea offering is partially oxidized, showing splendid colors of green, russet and pale brown. In the cup, a delightful and pungent earthiness awaits with nutty undertones. A smooth affair, with an intensity rarely seen in a White Tea. 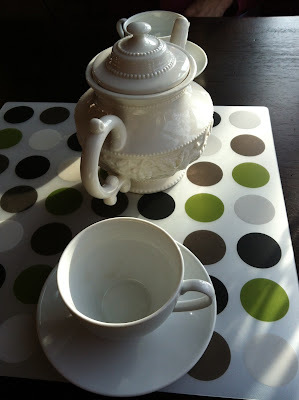 The color of the tea was darker than other whites I have drunk and the flavors were more complex, too. I was so impressed I came home with a bag. I think we ate a pastry each but I did not keep notes. Next time I am in Ann Arbor I'd like to return to this tearoom -- to drink more from their extensive menu and to try the afternoon tea, too.